to improve the health and wellbeing of Richmond’s childbearing families through fitness, education, social support, and community engagement. that pregnancy, birth, and early parenting comprise a critical life transition that has profound and long-lasting effects on mothers, babies, families, and society. Tending this transition wisely can result in significant and long-term benefits in the health of children and families. 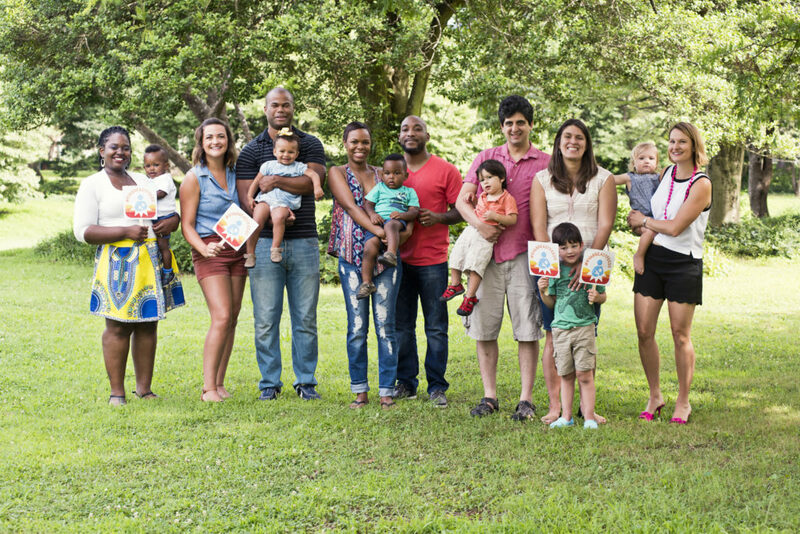 is the creation of a dedicated maternity resource center that offers high-quality, high-value education, wellness, and support services for Richmond’s emerging families and the professionals who serve this audience. The center would also serve as a hub to facilitate communication and collaboration between existing maternal/child health organizations so that we create a seamless web of support for expecting and new families. In the fall of 2011 prenatal yoga instructor and childbirth advocate Leslie Lytle gathered a group of maternal/child health professionals, mothers and community members to explore the possibility of creating a dedicated maternity resource center for Richmond’s expecting and new families. Nurture was born of their efforts and received its 501(c)(3) status in September 2013. Working to fulfill our mission with an all-volunteer staff, we partnered with Richmond Healthy Start Initiative to provide social media support for the 2013 Big Latch-On in August, 2013. In October, we launched our donation-based prenatal and post-natal fitness classes and hosted a day-long conference entitled: Perinatal Loss: Facilitating Healing Through Compassionate Dialogue. 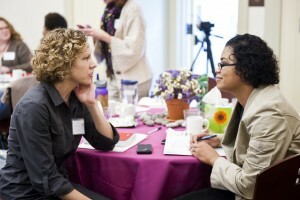 In June of 2014, our board and volunteer staff committed to participating in the Standards for Nonprofit Excellence Early Adopter Cohort program offered through the Partnership for Nonprofit Excellence. 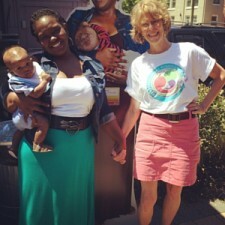 Nurture partnered with Richmond Health Action Alliance to raise community support for breastfeeding via RVA Latches On! and Let’s Talk Breastfeeding events at the Byrd House Market. In October 2014, we offered our second professional development program, From Trauma to Triumph: Recognizing the Impact of Childbirth Trauma on Women and Care Providers. In August 2015, we provided in-kind and technical support for #RVA Breastfeeds, a social media campaign designed to raise community support for breastfeeding. This campaign received wide media coverage, generated 100,000 engagements on Facebook, Twitter, and Instagram. and is receiving national attention as a model for community engagement around breastfeeding. 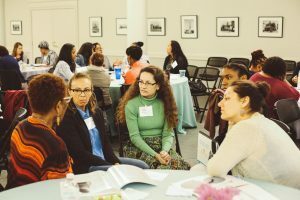 110 local healthcare and social service providers in the use of a research-based prenatal breastfeeding education tool and fostered inter-agency connections through facilitated networking. Facilitated Community Conversations for Maternal Health to identify gaps and resources impacting RVA’s childbearing families and explore the feasibility of establishing a community-based doula program. Collaborated with the VCU School of Nursing in the Mindful Moms research study, which is evaluating prenatal yoga’s effects on weight gain, stress resilience and maternal-child outcomes among low income minority women. prospective, expecting, and new parents with the care providers and businesses who serve this population. 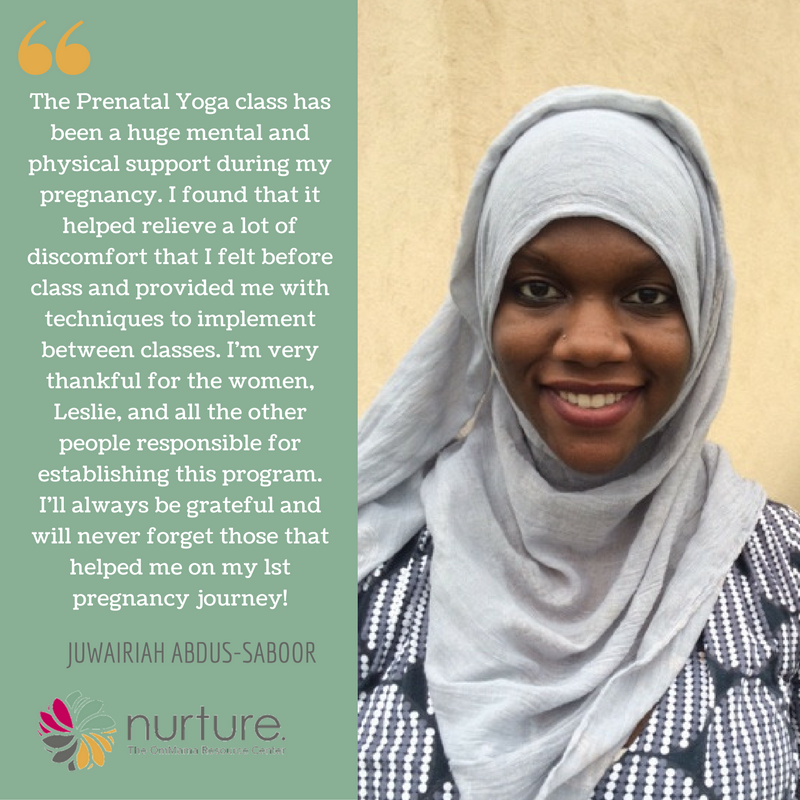 From October 2013 – March 2018, offered the region’s only donation-based prenatal/postnatal yoga classes. These classes are currently on hiatus as we focus on capacity building for impact and sustainability. During the summer of 2017, the Nurture Board undertook a strategic planning process guided by The Spark Mill, resulting in our 2017 – 2020 Strategic Plan, which was approved on October 31, 2017. Our third annual Nurture RVA Birth & Baby Fair on April 21, 2018 was attended by over 600 people. 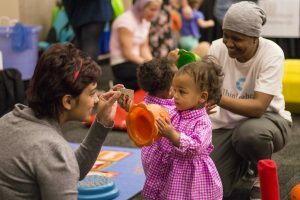 The 2019 Birth & Baby Fair is scheduled for April 6, 2019 and will also take place at the Science Museum of Virginia. In May 2018, we received a two year, $60,000 Healthy Communities Action Team (HCAT) grant from Virginia Foundation for Healthy Youth to support #RVAbreastfeeds, a coalition that seeks to policy, systems, and environmental changes that promote a breastfeeding friendly community. Through this grant, we conducted a public awareness campaign during World Breastfeeding Week (August 1 – 7) that reached over 100,000 people. Nurture also provided technical assistance and support for Black Breastfeeding Week RVA, which reached over 20,000 people, and received wide media coverage. Further information about our HCAT grant activities may be found on our sister website, RVAbreastfeeds.com. We are currently crafting implementation strategies for our strategic plan, which include establishing a comprehensive local resource directory for pregnancy, birth, and early parenting and living into our commitment to diversity and equity in all aspects of our organization. Nurture envisions a world where all families are supported through the journey of pregnancy, birth, and early parenting.